This paper discuses intelligent techniques used to monitor and correct operational abnormalities in Autonomous Underwater Vehicles. Neural Networks are usually utilised in the diagnosis section, while Fuzzy Logic is implemented in the prognosis and remedy sections. 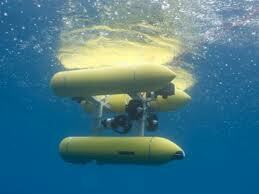 The performance of an AUV’s sub-system has a great affect on the overall success of the vehicle. Once a sub-system becomes faulty, the various components associated with the control of the AUV may get influenced, which can degrade the overall performance of the integrated system or make it invalid altogether . Such failures may result in large amounts of wasted time, loss of data and increases in mission costs. (FANN) toolbox, FannTool-1.1, to provide simulations of a Neural Network for the inputand output across each sensor.